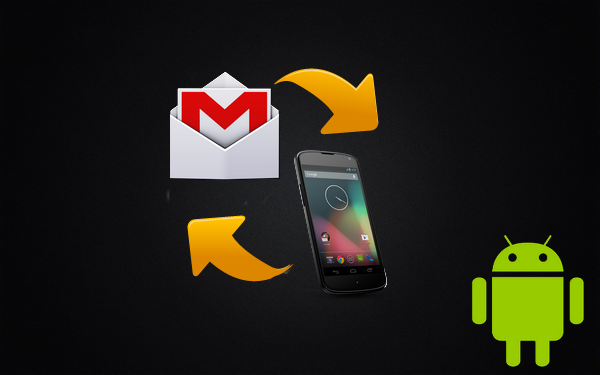 How to backup contacts with Android and Gmail? Some one said , “Prevention is always Better than Cure“. This thought applies to the Keeping Backup of anything like your contacts, photos, data, files, documnets etc. Here we will discuss about How to backup your Android contacts with gmail. Below are some of the easy ways to backup your important contacts. 1. Open your contacts from android device. – Now from next list select where do you want to export these contacts. eg to External SD card. press next. – select which contacts you want to export , from contact list. 3. Sync contacts with Gmail. – Log in yo gmail account on your Android Device. – you will see the list of account which are added in your android device. select the your gmail account fromthat list where you want to store all your contacts. – Now turn on the sync contacts option. 4. Now you have successfully synced the account with your Android device and all contacts will be transferred from the device. It allows you to conveniently have a backup of all your Gmail contacts. This helps if phone gets stolen or crashes down or even if it suffers from memory loss. As all the contacts are synced with your Gmail account, you can retrieve on any of the smart phones as a replacement device not necessarily to be Android.